Oscar Wilde’s most beloved text, The Importance of Being Earnest has been dramatised on countless occasions, including the much loved 2002 film starring Colin Firth. Just last year a version of the show took up residency at the Harold Pinter Theatre. Set in a rather quaint Victorian Hertfordshire Manor House in the English Countryside, The Importance of Being Earnest focuses on the farcical turn events between two friends Jack Worthing and Algernon Moncrieff. Both Jack and “Algy” at some point enjoy masquerading around pretending to be a fictitious chap named Ernest in order to impress ladies Gwendolyn Fairfax and Cecily Cardew. With the pair of gentlemen living strange but double lives as the mysterious Ernest, they manage to bring about all kinds of trickery and tom foolery in both London and Wootlton, charming ladies and spreading gossip! The play was intended to be a satire of Victorian society, with many traditions and social norms being mocked throughout the narrative. 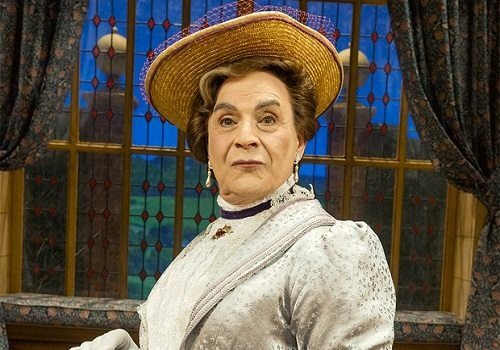 In this particular production Poirot star, David Suchet will play the much famed Lady Bracknell, somewhat of a battle axe! Lady Bracknell is Gwendolyn's mother and is determined to make sure her daughter marries well, so when she discovers that when her daughters proposed suitor is adopted she is quite perturbed. This production is directed by Olivier Award nominated director Adrian Noble. The Importance of Being Earnest is highly enjoyable if one can follow the dialogue and understand the deception. 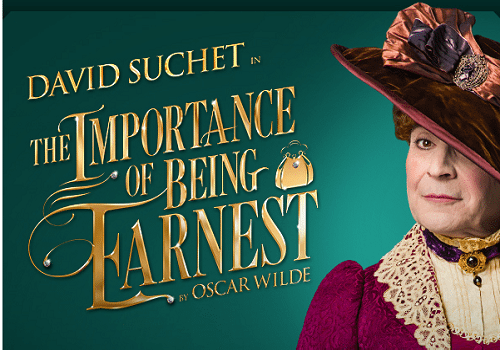 The show is not exactly suitable for young children as they may not understand the humour of the show, however The Importance of Being Earnest is non offensive and older children of 10+ may enjoy the story.